This is the place where you can come to learn about and request Miracle-Based Coaching for the Gifted Total Abundance Intensive that has been created for you by the Source to help you travel The Path to Total Abundance. Through traveling The Path to Total Abundance you can provide your Suit – body/mind – with the Total Abundance Miracles that will enable it to not only experience the Heaven of Total Abundance but to have what it needs to preserve its Source Connection, which is your Link to Life. You and all others throughout the Creation have been offered a Gifted Total Abundance Intensive which can be delivered by Heaven Phase Miracles. In The Heaven Phase of the Creation, which is the phase of the Creation that we are now in, it is possible for the Source to gift a certain level of miracles – Heaven Phase Miracles – to beings throughout the Creation. These miracles do not require Material Energy in order to reach you where you reside in Spiritual Reality. All other forms of Total Abundance Miracles do require Material Energy because the miracles themselves are of a more materialized nature and must land in a Landing Zone created from Material Energy. For a complete understanding of how this works, I refer members of Connecting to the gifted Video Book Training which explains the essential concepts about how miracles can come into your life. If you are not a member of Connecting, which is your Point of Connection with the Gifted Miracle-Based Training Materials of the Source, you can sign up by accessing the link provided below. When a Total Abundance Intensive is created for you by the Design Aspect of the Source, it structures in all of the steps that you need to take on your Path to the Heaven of a Source-Connected, Total Abundance Way of Life. This means that the Intensive will continue to support you on your Path throughout your lifetime. The Miracle Intelligence behind your Intensive will send you prompts to help you to recognize the opportunities the Source is giving you to connect to the Total Abundance Miracles available to you on your Path to Total Abundance. These opportunities will be given as Next Steps in an ongoing Miracle-Based Adventure that stages life experiences on the Inner and Outer Planes that help you to free yourself from whatever is keeping you in Scarcity and help you to advance toward Total Abundance. While this ongoing Miracle-Based Adventure is a powerful structuring force that helps you to make progress toward Total Abundance, you need to do your part to recognize the clues given to you on your Miracle-Based Adventure and to learn the skill sets of a Heaven Agent in order to work effectively with the opportunities that are given to you. While your Extended Range, which generally operates outside of your conscious awareness, can do a certain level of the Heaven Agent Work that is needed to help you to progress, if you do not participate in your Conscious Range, then you will not make it down The Path to Total Abundance. Conscious Range participation is an essential element in working with the Total Abundance Miracles that will be sent to you and which you need to help to bring into a state of full manifestation. A first step toward being better equipped to work in your Conscious Range is to educate yourself about The Source Perspective on the nature of reality. I have provided a Gifted Total Abundance Training that guides you through all of the Gifted Training Materials that are readily available to you on the website. In addition to working with the Gifted Training Materials, you need individualized Miracle-Based Coaching to understand how your Suit – body/mind – is functioning and what challenges you are facing and how to recognize the miracles that are being sent to you by The Total Abundance Support System. You also need to know how to do your part to contribute to The Total Abundance Support System so that you can receive and work effectively with Total Abundance Miracles. To learn more about the Levels of Miracle-Based Coaching, you can refer to the section below. For a complete understanding of what is meant by a Miracle-Friendly Field and Material Energy needed to ground miracles, members of Connecting can watch the Gifted Video Book Training. If you are not a member of Connecting, which is your Point of Connection with the Gifted Miracle-Based Training Materials of the Source, you can sign up by accessing the link provided below. Miracle-Based Coaching brings in the miracle of Source Guidance as well as the miracle of Source Interventions that help your Suit to evolve on your Path to Total Abundance. In order to create the right spiritual conditions for the miracles needed for Miracle-Based Coaching to come into your life, your Suit – body/mind – will need to maintain the right Miracle-Friendly Field of Energy. A miracle can't land in a Miracle-Unfriendly Field and more complex and high power miracles require high grade Miracle-Friendly Fields in order to land. I have established five levels of Miracle-Based Coaching based on the grade of Miracle-Friendly Field that your Suit is able to produce. Those starting out with a lower grade Miracle-Friendly Field can work to clear the negative energy in the Suit so that the Suit is capable of producing a higher grade Miracle-Friendly Field that enables them to receive more extensive and powerful Miracle-Based Coaching. The Suits of Manifest Beings were created by the Source to produce Material Energy, which is the energy needed to create a Landing Zone in which the Source can send the miracles that the Suit needs to experience Life as Heaven. Due to the Disconnection from the Source that has occurred since the beginning of the Creation, most beings have Material Energy Factories in their Suits that are clogged up with negative energy and produce less than 1% of the Material Energy that is needed to land the miracles that would end their suffering and enable them to manifest a Life that is Heaven. Because this dilemma makes it difficult for a Suit to receive even the miracles that would repair its malfunctioning Material Energy Factory, the Source has brought through a miracle that enables the Material Energy generated by Work Power, transferred through a Financial Exchange, to provide a low grade level of Material Energy for the Landing Zone. This miracle has enabled Suits to begin to restore their ability to generate Material Energy the natural way so that they can generate enough Material Energy for all of the miracles that they need to have Total Abundance. Each miracle that the Source creates requires a specific amount of Material Energy to create the kind of Landing Zone that it will require to land at the level of spiritual materiality where it is needed. Only when that precise amount of Material Energy is provided is the miracle – which is a Gift from the Source – able to land in the life of someone in need. Miracle-Based Coaching is a type of miracle that requires Material Energy in order to build the Landing Zone for it to come into your life. The more high power the level of Miracle-Based Coaching, the more Material Energy that is needed. For instance, someone who is spiritually ready to work in The Source Connection Coaching Program in a Source Reality Station, needs to provide the Material Energy for the Miracle Tool of the Station. This enables them to work on their Total Abundance Intensive in Source Reality with much more powerful Miracle Tools such as the Total Abundance Screens. The amount of Material Energy that it takes to ground the miracle of Email or Online Coaching is less than the amount of Material Energy needed for In-Person Coaching, which delivers more high power miracles. The Miracle School offers students a variety of ways to provide Material Energy through a Financial Exchange. For more information, you can read the article entitled: Heaven Economy Options. One of the options that is most readily available is the interest free Payment Plan. Because Material Energy is required to ground the miracles needed for Miracle-Based Coaching, it is necessary that the amount of Material Energy be supplied immediately in order to bring in the miracles. This can be accomplished when I draw on the Material Energy stored in the spiritual repository of The World that Works Fund. This Material Energy is contributed by The Universal Heaven Agent Network that does Heaven Agent Work to generate the Material Energy that can be made available to Heaven Agents getting Trained & Equipped to contribute to The Total Abundance Movement. Heaven Agents on a Payment Plan, reimburse The World that Works Fund when they make a monthly payment. If you need the assistance of an interest free Payment Plan, you can inform me of the amount that you can provide monthly and I can check with the Material Energy Reserves in The World that Works Fund to ensure that a Payment Plan is possible. If you would like to explore other Heaven Economy Options, you can email me and we can discuss your situation. When Miracle-Based Coaching is requested, I look at the grade of Miracle-Friendly Field that the Suit of the person making the request is currently producing. If their Suit is producing a Field of Energy that is below -6, I am not able to begin Outer Plane Miracle-Based Coaching. I can help those at this level with At-a-Distance Heaven Phase Miracles and Inner Plane Coaching that do not require a Miracle-Friendly Field or Material Energy to ground. These Heaven Phase Miracles can, in some instances, help a Suit in this grave state of disrepair to begin producing an Energy Field that is within the minimal level of a Miracle-Friendly Field that is needed to begin work with Outer Plane Miracle-Based Coaching. The Five Levels of Outer Plane Miracle-Base Coaching begin when the Suit is able to produce at least a -6 to a +1 Miracle-Friendly Field. Suits producing a Miracle-Friendly Field of -6 to +1 are generating a field of energy that is primarily Miracle-Unfriendly with only a trace of Miracle-Friendly Energies. With a Field of Energy that is this Miracle-Unfriendly, the focus of the Miracle-Based Coaching has to be on removing the negative energy that is causing the Suit to be unable to produce a higher grade Miracle-Friendly Field. Only with a Miracle-Friendly Field of a 2 and above can Miracle-Based Coaching begin to focus on how to move forward on the Path to Total Abundance. Prior to this so few miracles can reach the Suit that no real progress can be made. 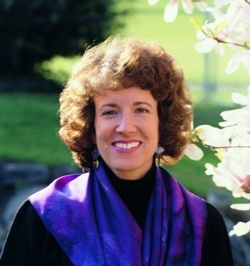 The Miracle-Based Coaching for Level One is focused on working with Heaven Agents who are receiving Source Light Interventions that are powerful enough to clear away the more materialized levels of negative energy from the Suit so that a higher grade Miracle-Friendly Field can be produced that enables them to receive higher level Total Abundance Miracles, including higher levels of Miracle-Based Coaching. Other forms of Source Support that may include other kinds of At-a-Distance Source Interventions and Miracle Tools may also be recommended if they are a part of this stage of your Total Abundance Intensive. You can elect to work with whatever forms of Source Support you are eligible to receive, given the grade of Miracle-Friendly Field that your Suit is producing and the Material Energy that you provide to ground the miracles of Source Support that you wish to receive. Periodic Source Guidance Emails regarding the progress you are making in your Total Abundance Intensive are supported by the Material Energy provided by The Universal Heaven Agent Network that helps Heaven Agents to receive training in The Miracle School. More extensive Email Coaching will require that the Heaven Agent provide the Material Energy for the work through a Financial Exchange. You can email me Heaven Agent Reports on how you are experiencing your work in the Intensive and what questions you might have about your Next Steps. If your Suit is producing a Level 2 Miracle-Friendly Field, then you are eligible to work with the Miracle Tool of a Source Light Immersion Field. This Inner Plane Miracle Tool is Miracle-Linked to a web page where you can go to immerse yourself in the healing and transformative energies of the Source Light Field and work with The Place of Ultimate Spiritual Healing Graphic which emanates Source Light Rays that help to heal your Suit so that it can begin producing a higher grade Miracle-Friendly Field. You will need to provide the Material Energy for the Inner Plane Source Light Immersion Field and for the Miracle-Link to the web page. The Source Light Rays coming from the Graphic are sent by Heaven Phase Miracles that do not require Material Energy to ground. They are sent to you individually by the Source to work on healing your Suit so that it can produce a higher grade Miracle-Friendly Field. Because Heaven Phase Miracles are very immaterial, they are not suited to remove impurities in the Suit and energy fields surrounding the Suit that are more materialized and require a more grounded and materialized type of Source Light. The Source Light Intervention, which requires Material Energy to ground, can work effectively at a more material level. If you need an occasional Source Light Intervention, I will notify you by email. While this level of Miracle-Based Coaching is primarily focused on purifying the Suit and its energy fields through Source Light, other forms of Source Support may be indicated in your Total Abundance Intensive. I will provide you with information on what is optimal for you given the structure created for you for your Intensive and will inform you through periodic Source Guidance Emails about Next Steps that are needed to continue to make progress on your Path to Total Abundance. If the Source Support that is a part of your Intensive includes more extensive Email Coaching, I will provide you with this information and an opportunity to avail yourself of this resource. As in all levels of the Intensive, I make Source Recommendations based on the structure of your Intensive and you make the decision about whether you would like to work with the Source Support that is recommended. You can communicate with me through sending me Heaven Agent Reports from The Source Light Immersion Field web page. If your Suit is providing a Level 3 Miracle-Friendly Field, then you are eligible to work with the Miracle Tool of a Total Abundance Portal. The Total Abundance Portal is an Inner Plane Miracle Tool that is Miracle-Linked to a web page to provide you with the Miracle-Friendly Energy Field of the Portal. On this web page you are given access to The Total Abundance Portal Graphic, which is a powerful Miracle Tool through which Source Guidance and Source Interventions can be sent to support your work on the Intensive. Because the Graphic is also Miracle-Linked to an Inner Plane Miracle Tool, it can send you unique Source Communications and Source Support. This provides you with a powerful Individualized Point of Connection with the Source. It is possible for a Heaven Agent at Level 3 or above to request a Source Light Immersion Field web page and work on that web page on their Intensive as well as in The Total Abundance Portal page. Since the energy fields of both pages are very different and provide very different kinds of Source Support, both are useful to a Heaven Agent working at this level. You will need to provide the Material Energy to ground the miracle of the unique Total Abundance Portal that I create for you on the Inner Plane and link to the Total Abundance Portal web page as well as for the Miracle-Link to the Graphic. At this level of the work, I will send you periodic Source Guidance Emails that will inform you of your Next Steps structured by your Intensive for your Path to Total Abundance. If these Next Steps include other forms of Source Support, including more extensive Email Coaching, I will provide you with this information and you can let me know how you would like to proceed. You can communicate with me through sending me Heaven Agent Reports from your Total Abundance Portal. At Level Four you are able to enter into The Total Abundance Coaching Program that provides a much more in-depth and powerful form of Miracle-Based Coaching. It is possible for you to work in a Source Reality Station that has a range of power that is commensurate with the level of the Miracle-Friendly Field that your Suit is able to produce. In a Source Reality Station, you have access to more materialized Miracle Tools such as the Total Abundance Screens which send you Source Guidance relative to the particular Total Abundance Way of Life Project you are working on in the Station. I work with you in the Station providing you with Online Asynchronous Miracle-Based Coaching in response to the Heaven Agent Reports that you send to me as you work with the Miracle Tools in your Station. I provide periodic Source Guidance Communications with regard to your Next Steps on your Intensive which inform you of any forms of Source Support that would be helpful to you on your Path to Total Abundance. You can let me know if you would like to provide your Suit with these additional forms of support. The most advanced level Coaching Program is The Source Connection Coaching Program. To qualify for this Coaching Program your Suit will need to be creating a Miracle-Friendly Field at Level 8.1 and above. This is where the most extensive training occurs and where the most powerful miracles can land to speed you on your Path to building a Source-Connected Way of Life that yields the Heaven of Total Abundance. The work occurs in a Source Reality Station that can reach the maximum level of power possible for this Miracle Tool, depending on the grade of Miracle-Friendly Field that your Suit is producing. There we work together through you working with a Miracle-Linked Personal Workflow Journal and sending me your Heaven Agent Reports. I post my Source Communications in your Source Reality Station. As you advance in the grade of Miracle-Friendly Field that your Suit can produce, you will be able to work with me in In-Person Teleconferenced Sessions and in Group Sessions by Webinar. You will also be able to prepare to work with me in Personal or Group Intensives in The Source Connection Center in Seattle. The Source Connection Center is a powerful Source Light Field that has multiple Stations which enable you to experience being immersed in Source Reality, suffused with Source Light, and taken on Guided Miracle-Based Adventures into The Perfected Total Abundance Reality. Through being immersed in these most materialized level of Source Energies, you can achieve the Ultimate Spiritual Healing that is essential for your Suit to produce a +10 Miracle-Friendly Field and to restore its Material Energy Factory so that it can attain the Total Abundance of a 100% Source Connection. Because a 100% Source Connection will be necessary to survive the final phase of The Transition, working toward this goal with this level of Miracle-Based Coaching is critical to sustaining your Source Connection – which is your Link to Life. In order to determine whether your Suit is ready for one of the levels of Miracle-Based Coaching, you can request a Gifted Miracle-Based Coaching Assessment by accessing the link provided below. I will email you with information about what level of Miracle-Based Coaching is right for your Suit at this time and how much coaching is needed to keep pace with the structure of your ongoing Total Abundance Intensive. If your Suit is not yet ready to maintain the Miracle-Friendly Field that is needed to start with Miracle-Based Coaching, I can provide At-a-Distance Heaven Phase Source Support that will help your Suit to begin producing the level of a Miracle-Friendly Field that will make it possible for me to eventually communicate with you via email. Prior to producing at least a -6 Miracle-Friendly Field, I am unable to respond to your request except on the Inner Plane. If you are at Level Four or Five, you can request a Total Abundance Reality Station which is a complex subset of the web site consisting of many Total Abundance Way of Life Projects and the Research, Action, and Communication Centers associated with them. A Station contains Total Abundance Screens and many other high power Miracle Tools. It also affords you the ability to request the most powerful Miracle Tools that are not given to Heaven Agents who are not working with close supervision in a Source Reality Station. To request hourly Email or Online Miracle-Based Coaching, you can access the link provided below. You can indicate the number of hours of coaching requested as you complete the Financial Exchange. The amount of Material Energy needed to ground the miracle of Online or Email Coaching is US $285/hour. Sign up for Connecting to receive updates on The Total Abundance Movement as well as on all of the Source-Directed Spiritual and Social Activism Projects and Campaigns that are a part of it. You will also gain access to Gifted Miracle-Based Training Materials that help you learn how to become a Source-Directed Spiritual & Social Activist. Connecting is your Point of Connection with The Work of the Source to build the Heaven of True Happiness. 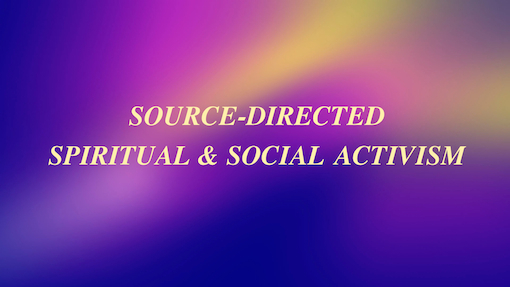 These Source-Designed Spiritual Activism Training Materials are gifted to you by The Universal Heaven Agent Network that supplies the Material Energy to ground the miracles that enable you to experience this kind of Transformational Training. It is their invitation to you to join them in the work of building the Heaven of a Love-Based Universal Miracle-Based Community that nurtures all of its own. Once you submit the form, you will be sent an email that will enable you to set your password so that you can gain access to all of the gfited videos and other Training Materials of Connecting.